Book your Hull to Zeebrugge ferry today. Are you planning to travel to Belgium? The Hull to Zeebrugge ferry route offers you the opportunity to arrive in the West European country with minimal driving. Thanks to the city’s excellent motorway connections, you can drive to Ostend in just 38 minutes. Antwerp is only 1 hour 30 minutes away and Bruges just 25 minutes. France and Holland are close to hand since their borders are nearby. 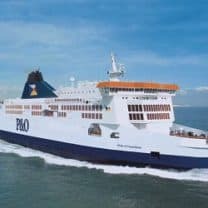 P&O Ferries is the only ferry company operating the Hull to Zeebrugge route. Sailing takes from around 12 hours and operates up to 7 times each week. The sailing takes place overnight and you get a comfortable cabin to sleep in. The frequency and duration of this ferry crossing may vary from season to season, so we advise you do a live check to get the most current information. Whether you want to travel on a budget or enjoy a bit of luxury while you journey to Zeebrugge, P&O Ferries has different ticket options to suit your needs. You can choose from the following ticket types: Economy or upgrade to Flexi. Prices vary due depending on the seasons and range from £180 in November to £355 in July. Can be amended (fee applies) in advance of travel but cannot be amended at the port and you must travel on your booked sailings. This ticket is non-refundable. No amendment fee applies unless you change to a higher priced fare. Ticket is refundable but subject to the following charges: 100% if cancelled within 15 days before departure, 50% between 15 and 28 days, 25% between 29 and 56 days, 15% outside of 56 days. Why Sail Hull to Zeebrugge? 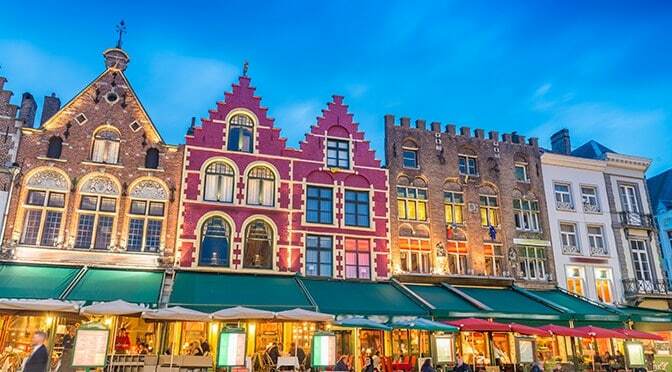 The Hull to Zeebrugge ferry crossing takes place overnight so you can enjoy a night’s sleep in your cabin and arrive in Zeebrugge by morning, ready to discover Belgium. How Long Is The Hull to Zeebrugge Ferry Crossing? Close to the ferry port is the train station, Zeebrugge Strand. 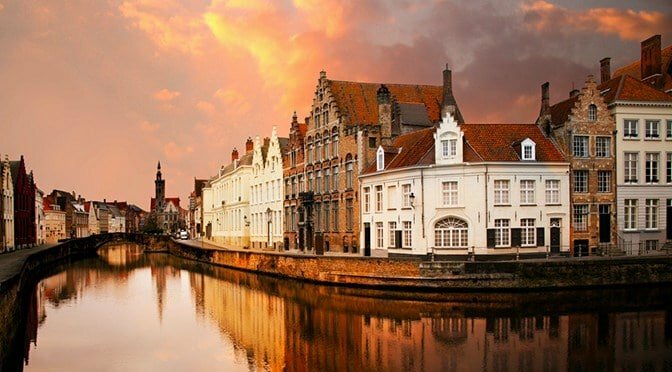 Here you can catch a train straight to Bruges which can take just 18 minutes. A little further away, trains from this station take longer than the Zeebrugge-Strand trains at around 39 minutes. According to The Trainline.com, the minimum price of a ticket from Zeebrugge Strand to Bruges is €1.60. The Zeebrugge-Dorp station is a little more expensive at €3.20. Like ferry tickets, the sooner you buy your ticket, the cheaper it is likely to be. Enjoy exceptional entertainment throughout your sailing from Hull to Zeebrugge with P&O Ferries. You can watch the latest blockbusters in the cinema or have a swell time shopping for the perfect gift at on the onboard shops. Younger travellers are not left out as the children’s play area keeps them busy while you savour the sailing experience. Journey to Belgium with P&O Ferries and enjoy tastefully furnished cabins to guarantee a relaxing night sleep. Cabins on P&O Ferries come with en-suite bathrooms equipped with shower facilities; relaxing beds to ensure a great night’s sleep and a flat-screen TV so you can catch up with your favourite shows. Do you have a pet you want to have around? You don’t have to leave your pet(s) behind when you sail to Zeebrugge as the Government Travel Scheme has endorsed P&O Ferries to allow travelling with pets from and to the UK. The ferry crossing takes place overnight so you can wake up in Belgium, fully refreshed to go about your business. You can rest your head in the comfortable cabins and wake up to the sunlight in Zeebrugge without noticing the long hours of travel. P&O Ferries operates two ferries on the Hull to Zeebrugge route. The vessels are named: Pride of Bruges and Pride of York. The ships set the standard for passenger comfort and entertainment with super ferry cabins, cinemas, lounges, kids’ area and a casino.